No football team ever hits the field without first having a carefully crafted game plan for driving the ball down the field and scoring touchdowns. The same holds true in the global service supply chain game; there’s no drawing plays in the dirt on the fly. Advancing the ball in the global marketplace — moving customers’ goods on the international stage and providing the highest level of service support — requires a highly coordinated effort by a team of dedicated professionals. 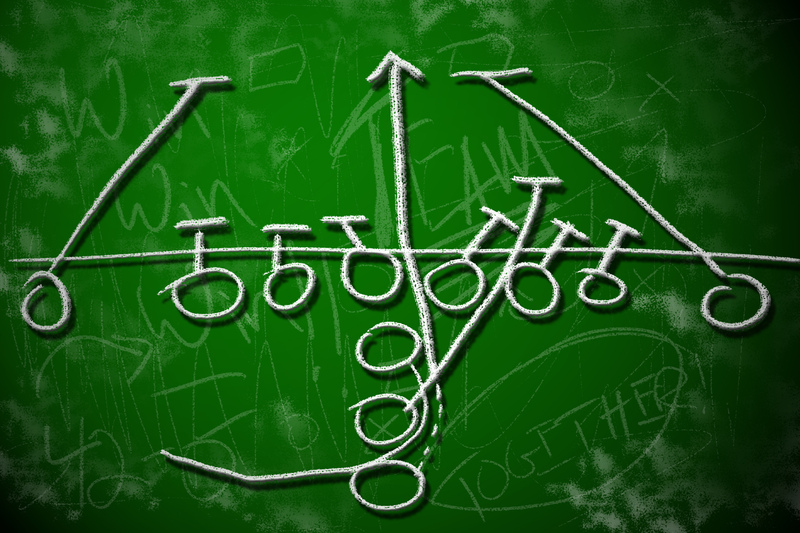 This blog series examining the similarities of football and service supply chain delivery continues with a closer look at the most fundamental similarity: The Playbook. 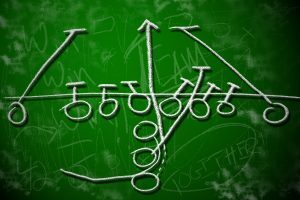 Whether gladiators on the gridiron or savvy supply chain professionals, these teams base their game plans for advancing the ball on a collection of plays or service offerings each strategically designed to help them win — whether that means scoring touchdowns or achieving on-time service deliveries. There are myriad ways for “matriculatin’ the ball down the field,” as Kansas City Chiefs coach Hank Stram famously said in front of the NFL Films cameras while exhorting his team to drive to victory in Super Bowl IV. As such, playbooks — whether they’re for a football team at any level or a service supply chain solutions provider whose customers must reach and operate in the far reaches of the world — vary in the thickness and complexity. In days of yesteryear, a football coach’s playbook could be contained in what amounts to a single-subject spiral notebook of, say, 30 sheets of paper. Nowadays playbooks rival the most complex college textbooks, detailing each play — and its multiple variations and nuances —down to who’s going to carry the ball and the assignments of every player on the field. These are the basics — the go-to offerings from which an SPL service delivery provider builds an individualized game plan for each customer. The key is that each facet of service is scalable and flexible to accommodate each customer’s needs as they expand in the global marketplace. Some the greatest dynasties in NFL history were built by teams that relied on a signature play. The Green Bay Packers of the 1960s steamrolled opponents with the power sweep. The Pittsburgh Steelers of the 1970s relied extensively on the inside trap. In the 1980s, Bill Walsh’s sprint right option was the bread-and-butter play of the San Francisco 49ers’ West Coast offense dominance, and the Dallas Cowboys’ lead draw led to not only three Super Bowl titles in the ’90s but it also helped Emmitt Smith become the NFL’s all-time leading rusher. Every opponent knew those teams’ signature plays were coming, yet that struggled mightily to stop them. Why? Those plays were run with such precision after thousands of hours of study and practice that they achieved a high level of success on a consistent basis. That same commitment to achieving consistency in delivery of services empowers SPLs to drive the ball forward for customers, but they don’t rely on just one signature play from their suite of services. Any play could be the signature play at any time, given the customers’ current needs. Every day is game day in the global marketplace; each team in the service supply chain knows what is expected of them to meet service level agreements for each customer. Communication, planning and coordination among departments — from Operations to Implementations, from Account Management and Customer Support to IT, Warehouses & Distribution and Billing, to technicians in the field — is paramount to reaching the end zone anywhere in the world. There’s no shortage of memorable plays in the annals of NFL lore. Who doesn’t remember Franco Harris’ Immaculate Reception that carried the Pittsburgh Steelers to their first playoff win in team history? The Ghost to the Post? The Holy Roller? And, to appease fans on the other side of the Bay Area — and also prove that the center of the highlight-reel universe doesn’t center solely on the Oakland Raiders— there’s The Catch, which launched the San Francisco 49ers’ dynasty that dominated the 1980s. And then there’s the Hail Mary, the unmistakable all-hands-on-deck desperation shot at a touchdown. It’s the one play that has even the most casual of NFL fans on the edge of their seats. Perhaps the most famous example occurred when Roger Staubach connected with Drew Pearson from 50 yards to lift the Dallas Cowboys past the Minnesota Vikings in a 1975 playoff game. The Hail Mary has been a part of football vernacular ever since, and even though they are successful only a fraction of the time, it’s exhilarating (or heartbreaking, depending on your fan allegiance) when they work. Green Bay Packers hit on not one but two such plays last year —the Miracle in Motown and again the playoffs in Arizona, a game the Cardinals won in overtime. In the supply chain service delivery game, however, there is no room for the “Heave-and-Hope” strategy. Customers demand — and deserve — more. From the point of sale moving forward, OEMs need to be able to trust that the service supply chain solutions provider has left nothing to chance when it comes to moving and servicing those products. One missed block, one wrong route, or one trade compliance penalty could result in a sack or turnover or worse. Therefore, every facet of the game plan for a customer is designed to ensure product arrives on time, every time, anywhere in the world. That happens only when service supply chain professionals are assignment-sure and they communicate effectively. That’s how service supply chains operate at peak efficiency, with an ability to step up and hit the big play. Such was the case when Flash Global helped Juniper open 45 depots in Mexico in less than 30 days. There is a crucial aspect of the SPL playbook that addresses both offense and defense in the service supply chain world. Global trade compliance not only helps open doors of opportunity in foreign lands but also helps defend against corruption and other forces that threaten to derail global business. Effective global trade compliance includes strict adherence to the Foreign Corrupt Practices Act, along with strong programs for Export and Import Management Compliance. Customers often don’t have the staff, resources or expertise needed to navigate the rules and regulations associated with customs, taxes, duties and tariffs. Any misstep in the trade compliance world could cost a customer millions of dollars — and even jail time. With that much riding on the line, it’s best to entrust those services to a seasoned team of professionals. Global trade compliance will be the focus of the Referees segment of this blog series in a few weeks. For now, suffice to say that an end-to-end service supply chain solutions provider like Flash Global can handle all compliance matters, which enables OEM customers to focus on what they do best: manufacture and sell. Whether on the football field or in SPL on a global stage, consistency is crucial to advancing the ball and winning. Each player must study their playbook daily to the point that stellar execution becomes second nature. NFL players study their playbooks until they’re prepared for any outcome. It’s as though they visualize every situation before they even play the games, which makes it easier to adjust when needed. It’s not uncommon, even years after retirement, they often can recall specific plays from throughout their careers with an uncanny level of detail. That same dedication to preparation is required to achieve consistent performance in supply chain service delivery. Each dedicated SPL professional knows not only their assignments but the overall goals of each customer — what needs to be where and when, how they’re going to deliver and move the chains. And while it’s important for each player, on the football field or in the SPL world, to know his or her assignments in full detail, each team has to have someone who is in charge. They need to have The Man (or The Woman) at quarterback. That is the subject of our next installment of this series examining the similarities between football and supply chain service delivery. To learn more about Flash’s suite of integrated service supply chain solutions, visit our website. NEXT IN THE SERIES: THE QB.